I am always intrigued by unique races. 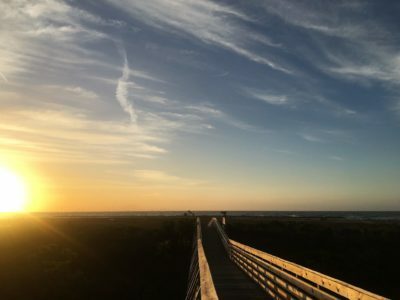 I was searching the internet for races and I saw that Q50 Races put on a sunset half marathon in Grand Isle, Louisiana and I thought to myself I needed to check out this race. Well, a year after I found out about the race, I had the chance to run it. Click HERE for my full report. 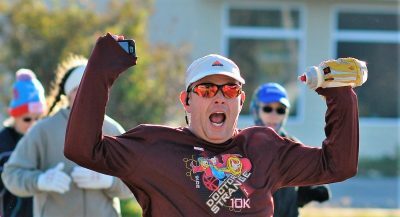 This year marked the 9th running of the Dahlgren Trail half marathon. I am still nursing an Achilles injury and can’t run, so I chose to the next best thing and volunteered. 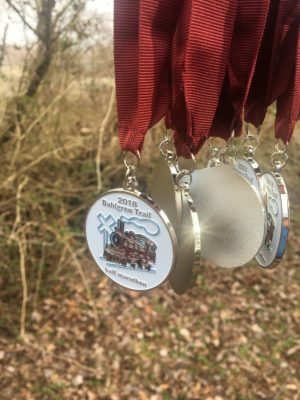 The Dahlgren Trail half marathon takes place on the Dahlgren Railroad Heritage Trail in King George, Virginia near historic Fredericksburg and the Potomac River. Click HERE to read my thoughts on this historic trail race. 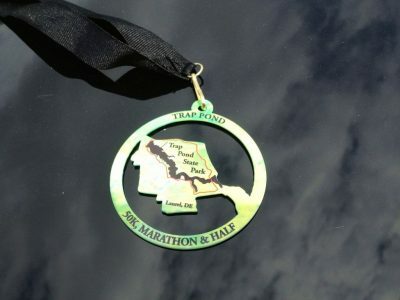 The Trap Pond Half Marathon, Marathon and 50k in Laurel, Delaware is an old school trail race. No big sponsor arches, or even awards for the top finishers, max of 100 runners total, a cool medal and the chance to run laps around the namesake Trap Pond at the Trap Pond State Park. I am in the process of running 50 marathon in 50 states before I turn 50, and I had to be in DC for work, and this race was the weekend before I needed to be in the Nation’s Capital. Read my full report here. The JLab Epic2 Earbuds have continued to perform well since my last update. Durability and comfort have been amazing and the sound produced by the earbuds is great. Playtime has met expectations with me getting between 11-13 hours of playback before needing to recharge. These earbuds have performed above expectations! Read on for my final thoughts. One of my keys to running long distances is to make sure I have what I need close at hand. There are many ways to accomplish this task from handheld water bottles to vests and backpacks. 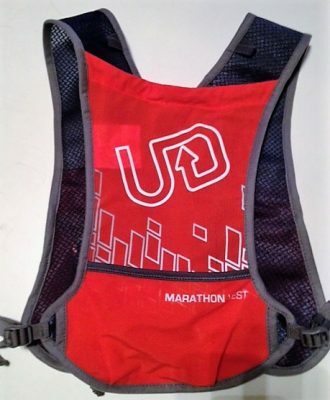 I have several half marathons and full marathons coming up over the next couple months, and I will be using the Ultimate Direction Marathon Vest to make sure I have hydration and calories close at hand. Read on for my initial thoughts on the Marathon vest.